During our INSET day today, we had the second of our ‘Subject Pedagogy Development Sessions’. The thinking behind these sessions is to put CPD back into the context of subjects. So each session has an over-arching theme, that is then discussed and developed within subject teams – read more about this approach to CPD here. The theme for today was looking at the teaching and development of vocabulary. Andy Tharby opened the session, by talking about the findings of University of Kansas researchers Betty Hart and Todd Risley. They followed 42 families and looked at how parental interactions with their children affected the vocabulary development of the children. They found that children from higher income families were exposed to around 30 million more words than children from families on welfare – more can be read here. So we have some students in our school who will be ‘word-rich’ and others who will be ‘word-poor’ – and a wide continuum in between. This then becomes a virtuous cycle – the more words you learn, the easier it becomes to learn even more words. This presents us with a huge problem as teachers. The vocabulary of the students that come to us, will be highly variable and for many of them, will be a huge obstacle to their learning. 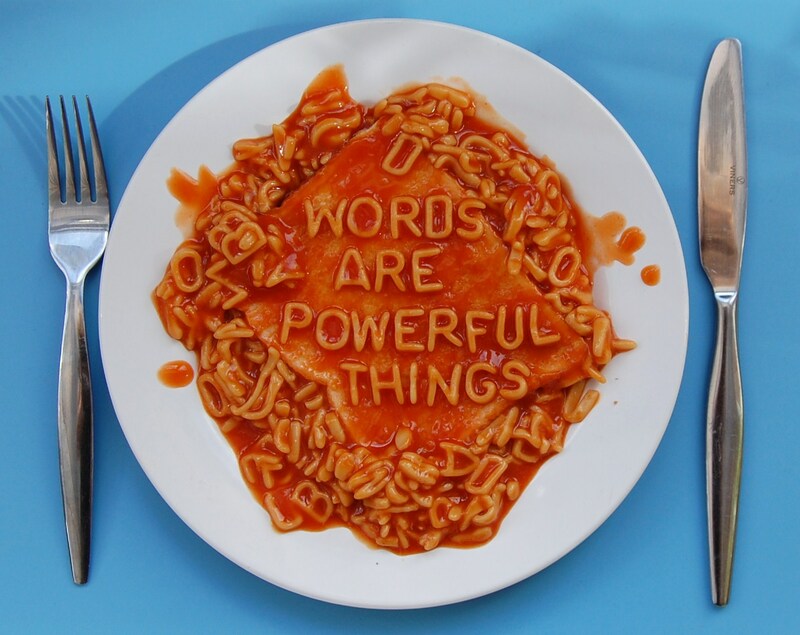 So we all have a responsibility to grow the vocabulary of our students, so that they are less likely to be get stuck – we need to feed them a rich diet of words on a regular basis. 1. 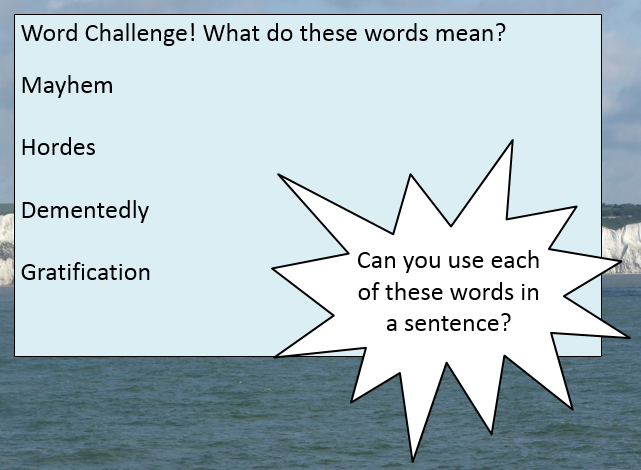 How can we improve the vocabulary knowledge of students? 2. How can we develop reading skills in our students? What are the key issues around vocabulary? A smaller vocabulary can trap students in a vicious circle – if they cannot read more advanced texts they miss out on learning opportunities and their understanding of the world is narrower. Similarly, if they don’t understand some key vocabulary, they may not fully understand what an exam question is asking them – and so miss out on marks. Students with smaller vocabularies need to learn words faster to catch up (estimated 3-4 words per day). Pupils need to appreciate that words can have more than one meaning – they have to transfer words learned in one subject to another. High frequency. Includes objects and simple adjectives. Rarely taught specifically in school (e.g. book, chair, etc.). Cross curricular and often descriptive. Include: adjectives, adverbs, vocabulary of time. Can usually be explained using easier and more familiar words. E.g. “fortunate” is a more mature way of describing being lucky. They are words that are useful across subjects and in various situations (e.g. poverty, welfare, reluctant, etc.). Students are likely to encounter these words through exposure to written texts and are unlikely to come across them in day to day discussion. ‘What evidence is there to suggest that the distribution of organisms in this area is affected by factors such as nutrients in the soil? Describe a method you would use to collect data to provide evidence for this’. There are a whole host of tier 2 words there, that could potentially block a number of students from being able to access this question e.g. evidence; distribution; factors; method; data; evidence. Low Frequency. Topic specific and not encountered a great deal and when they are, they tend to be specific to a subject (e.g. metaphor, refraction, molecule, etc.). If students don’t understand the meaning of these words and so can’t use them appropriately, their academic achievement will be limited. So, our focus and development should be looking at tier 2 and 3 words in our subjects. What are they and what can we do to support the learning of them? Definitions are explained carefully to students and put into the context of a sentence. Words are carefully selected for planned teaching and reinforcement (e.g. words that have roots found in many other words/subjects such as ‘photo’, ‘sub’, ‘poly’, etc.). Words easily relate to other words students know – connects to texts and experiences they are likely to encounter in the future. Games, songs and humour are used in raising word consciousness and developing enjoyment of words. Specific strategies taught for independently learning/decoding new words. Start with our own language awareness. Choose Tier 2 and 3 words strategically in order to challenge students and use them in your teaching. Teach the students explicitly what the words mean and then repeat again whilst explaining, modelling, questioning and giving feedback. Model exam question responses and point out tier 2/3 words that students misunderstand in the question – or underuse in their written answers. Use mature, sophisticated language to strategically challenge students – don’t dumb down words, so for example in science use viscous instead of a ‘not very runny liquid’. Use starters and plenaries to review vocabulary. For example, list tier 2/3 words and ask students to define them and then use them in a sentence. Set vocabulary learning as homework tasks. Knowledge organisers are great for these vocabulary learning homeworks, that can then be tested with quick low stakes tests at the start of the next lesson (the obvious thing to do is to get students to write the definition down from memory, but an alternative is for them to use the word in a sentence – more here. Reward and praise your students’ use of new words – and acknowledge them in your marking – maybe identify good vocabulary with a simple ‘V’. 1.Can you work out what the word means by reading the whole of the sentence? 3.Have you seen the word anywhere else or in any other subjects? 4.What type of word (word class) is it? Noun? Adjective? Adverb? What do we want to achieve from this? A linguistically rich environment with staff sensitive to language use. Students have a widening vocabulary and knowledge of words. 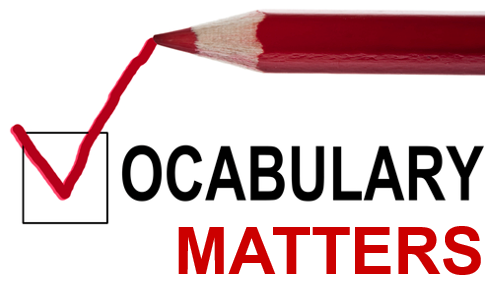 Discuss the vocabulary issues in your subject area. 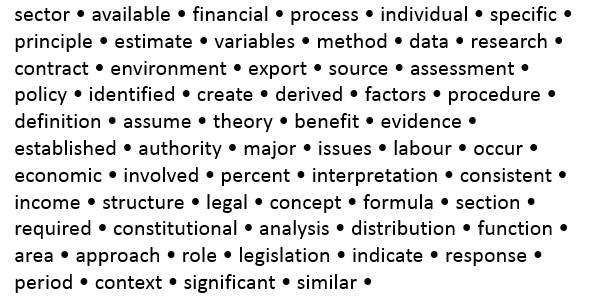 Create word banks of Tier 2 words which are relevant to your subject. These could be identified by looking through exam papers, text books and other assessment resources. Create word banks of important Tier 3 words associated with common misconceptions or important words often used incorrectly. Decide how you will integrate these words into your teaching. Schedule/Plan when you will use more direct vocabulary instruction (e.g. spelling/definitions quizzes every two weeks). Following this input from Andy and Bridget, curriculum teams met to discuss how they would approach this in their teams. I was fortunate enough to dip into these very rich discussions and have summarised some of the key points from them below. 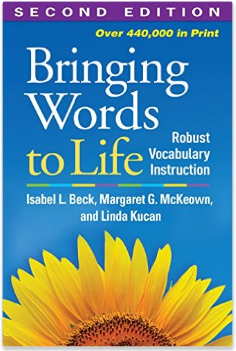 English were discussing some of the strategies from Isabel Beck’s book ‘Bringing words to life’. They were going to explore whether they could get better at teaching tier 3 words, by strategically picking a few words to teach explicitly, with a view to allowing students to read/write in a more sophisticated way. A number of subjects, including science, maths, PE, history and Business/ ICT were spending their time looking through past exam papers and/or text books, and identifying common tier 2/3 words. 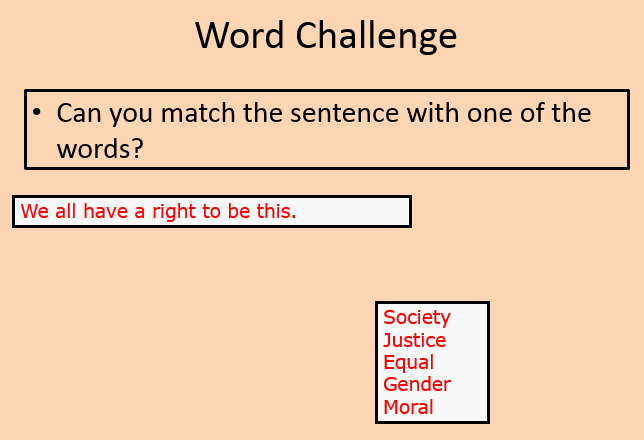 This would then allow them to build up subject specific word banks that they would (a) use more frequently in their teaching (b) share with students (c) use for low-stakes vocabulary tests. Science were then narrowing the list down to tier 2/3 words that students often misunderstand. Geography, Performing Arts, RS and Citizenship have produced a bank of tier 3 words that are shared with students and discussed at the start of every new unit. They will then be returned to, during the teaching of individual topics – so supporting the idea of repetition. Students will be tested on their understanding of these words, through definition tests and asking them to use them in appropriate sentences. Art & Design were using it as an opportunity to look at marginal gains. As a very successful curriculum area, could developing student understanding of key vocabulary, enable them to achieve even more A*/A grades? MFL were looking at producing stickers and posters of common tier 3 words, that students need to know in order to make progress e.g. adverbs, infinitives etc and to use these to support the explicit teaching of these words. They were also looking at how the development of tier 2 language in other subjects, could support their understanding of cognates in different languages. This entry was posted in CPD Events, General Teaching and tagged literacy, Subject CPD, Vocabulary. Bookmark the permalink.